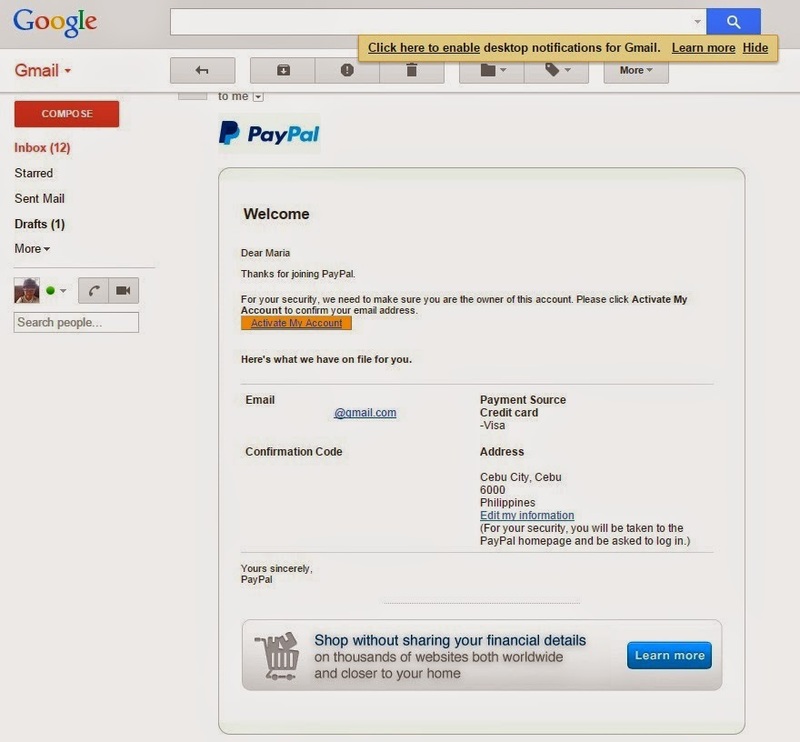 PayPal is an international digital wallet that allows the users to conduct business via e-commerce. Once a member you can transfer money online. 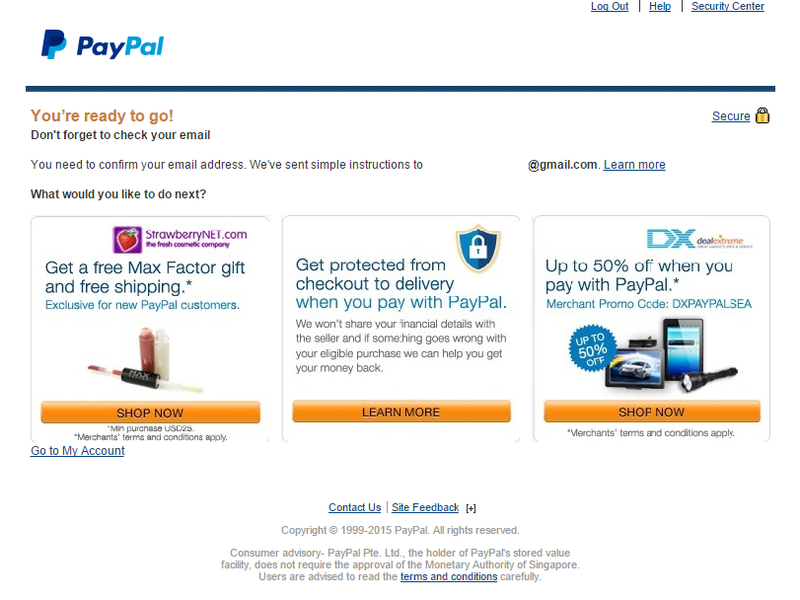 I love PayPal because they make everything easier especially for an online shopper like myself. 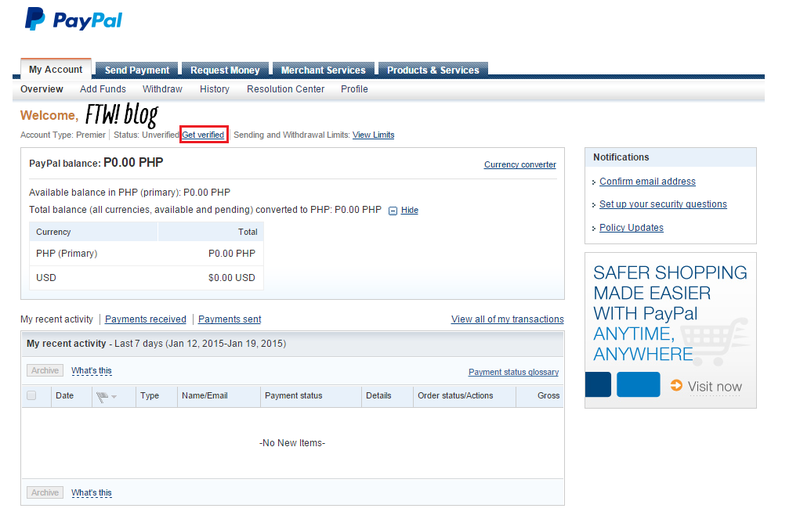 Previously, I earned money by creating online blog posts for a company and they send my salary via PayPal. Almost 95% of online jobs (oDesk and other companies) use this to transfer money to their offshore employees. As PayPal does not require you to head out to the bank. I prefer PayPal over over the counter payments. It is safe and more convenient, they even have a mobile app! 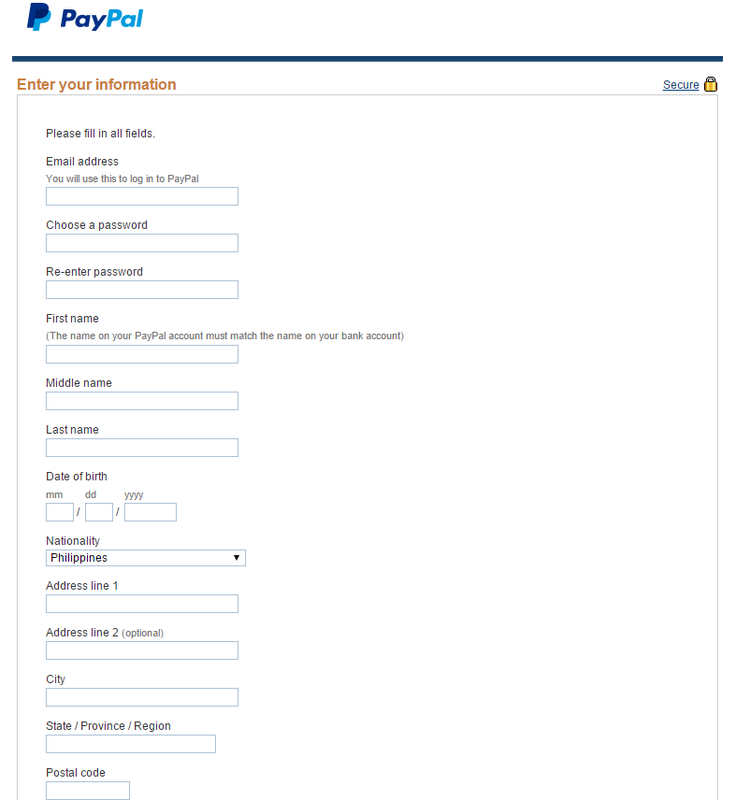 For those who wish to have a less hassle online shopping experience here are the steps on how to set up an account with PayPal. 1. Visit their online site at: PayPal.com once there click on Sign Up found on the upper right hand corner. 3. Fill out the fields below and ensure that everything is accurate. 4. Once done, you need to check your e-mail to confirm your e-mail account. 5. You also need to get your e-mail address verified by clicking on the Get verified and you will expect an e-mail with the instructions. 6. Instructions are sent instantaneously. Click on the box and you will be directed on the next page. 7. To ensure that your account is safe, you need to select 2 Security Questions and please make sure that you remember these as this is important in case that you forget your password. I keep a list of passwords on my personal e-mail as draft since I frequently change my online account passwords. 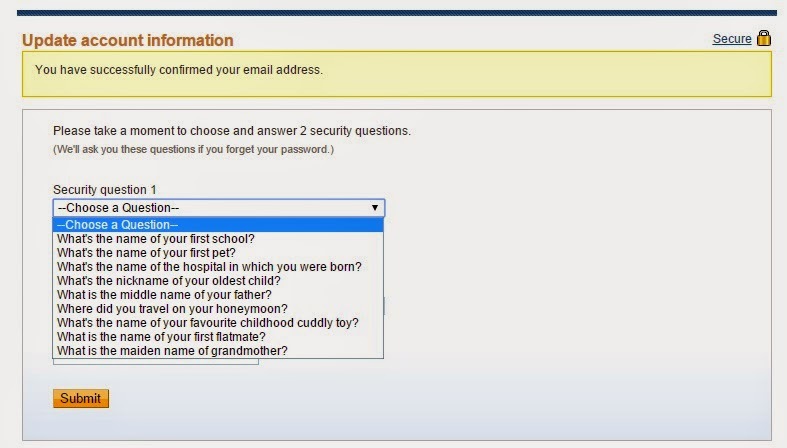 Here are the list of Security questions and you need to fill out the Answer on the box provided. 8. Your account is now active. 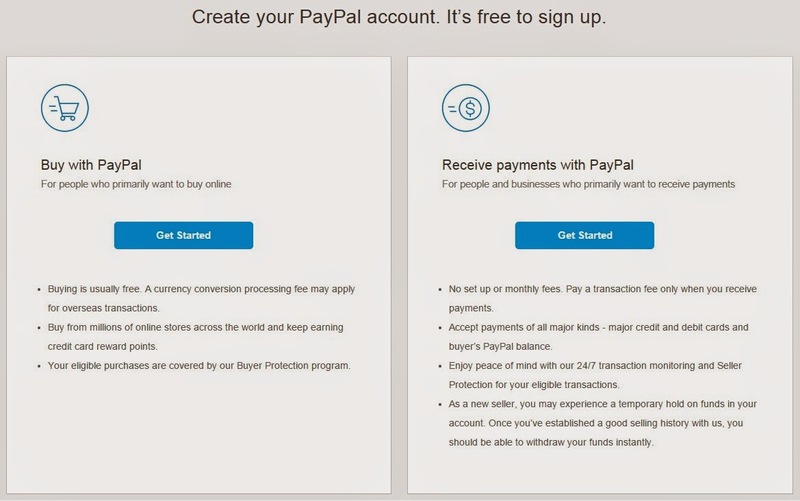 You can now receive payments but in order for you to use your account for paying online transactions, you need to link your PayPal account to any of your active credit/debit cards. I would recommend that you select the bank with an online account. As for myself, I use my salary account for this as they support PayPal transactions. 9. Verifying your card is an integral step. This is to confirm that your card is valid and in your possession. This is why an online bank account helps because once you press on Continue a 4-digit code is generated and will be sent to your online account, this is a requirement on the next page. 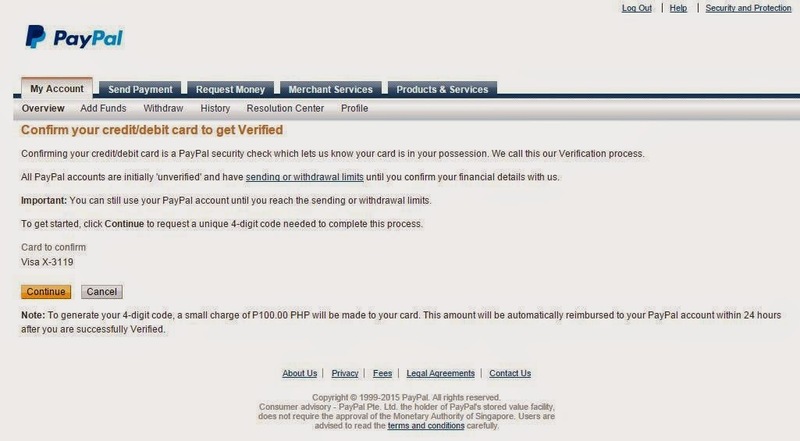 NOTE: This step requires a Php100 charge off the card you linked with your PayPal account. This will then be returned once you have been verified. 10. Once you have accomplished everything, check your e-mail after 24 hours for the final verification. You will then see your status as Verified. I hope this post will serve its purpose. People have been asking me how to create one and this is my attempt at a Step-by-Step answer. I have been a happy member for almost 5 years now. I just update my password every month. 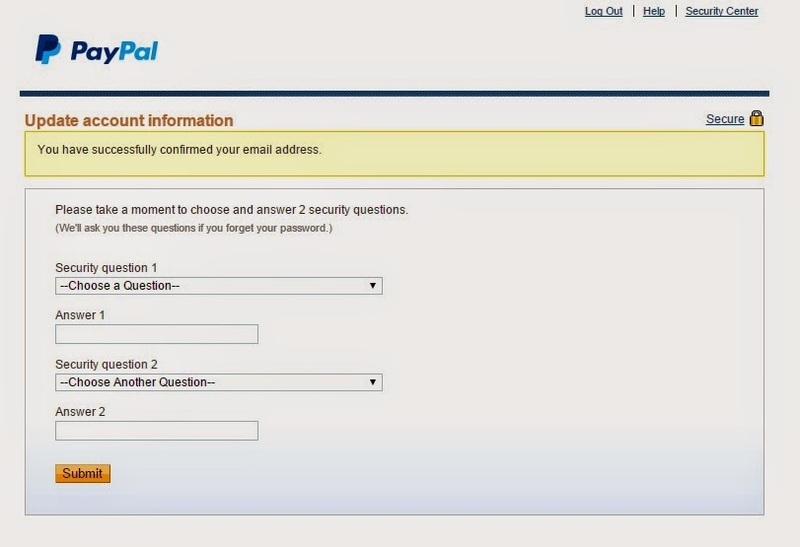 If your debit/credit card expires, you are required to update your PayPal for security reasons as a new Card Number and Security Code is generated. 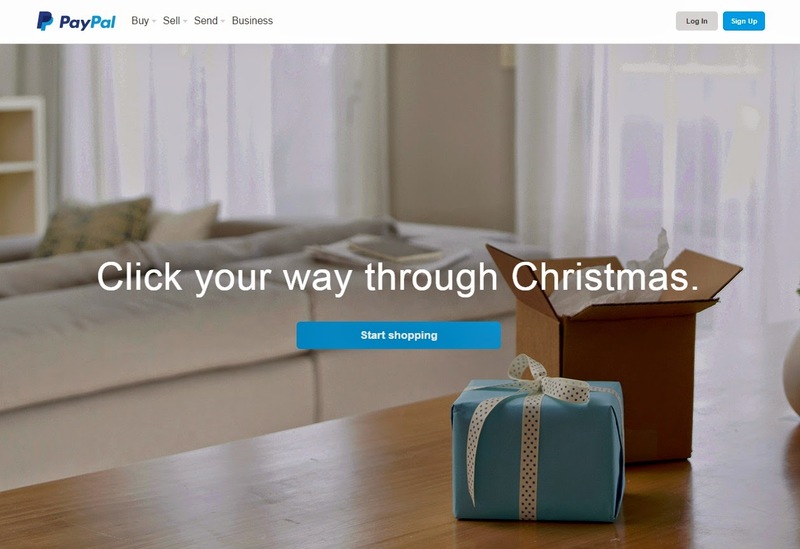 This also allows you to transact online purchases without any hassle. P.S The OC in me stressed out with how the pictures looked. Some are dimmer compared than the rest. Sorry about that. I keep retracing my steps and could no longer figure out what happened. In any case, I hope I covered everything. Let me know on the comments below if you need help regarding this post. I may have left a few steps and I will certainly get back to you as soon as I can.